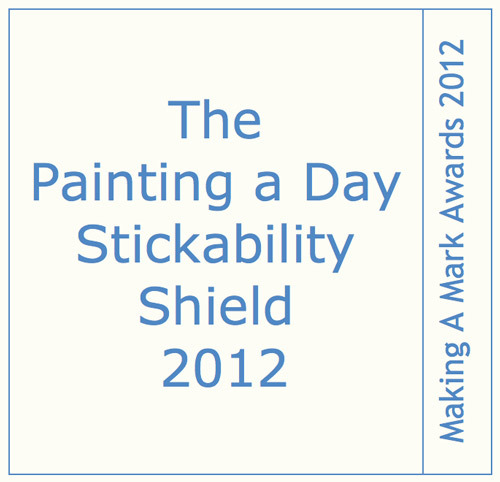 I recently had the honor of winning the Painting a Day Stickability Shield from Katherine Tyrell on Making a Mark. Thank you, Katherine! I did these eggs above back in December after my regular light broke and I switched to my "white" light for a little while. Unbroken eggs are really hard to paint. Wow! Love the unbroken eggs! 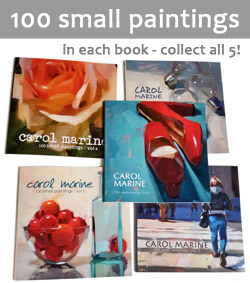 They have the most wonderful light and shadow Carol! And I love that little spot in the bottom of the open eggshell...perfect! 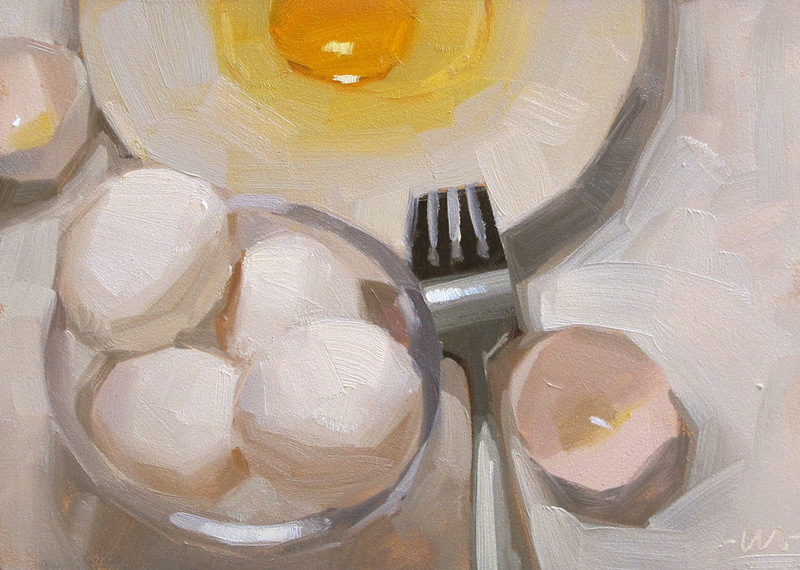 Hardest kind of egg to paint is on a while plate I think- you nailed it! Straight up is one of my favs! 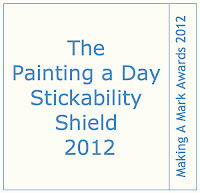 Congratulations dear Carol on "The Painting a Day Stickability Shield 2012" You really deserve it! Congratulations, Carol. A well-deserved award! Love the eggs .... always love your eggs! I have to agree with Kathy....my favorite part of this painting is that tiny spec of egg white in the bottom of the broken shell. Fabulous painting in white!